Pictured is Mike Lalonde, Mine General Manager presenting a donation of $10,000.00 on behalf of Goldcorp Red Lake Mines to Ron Harding, Chair, Red Lake Margaret Cochenour Hospital Foundation. 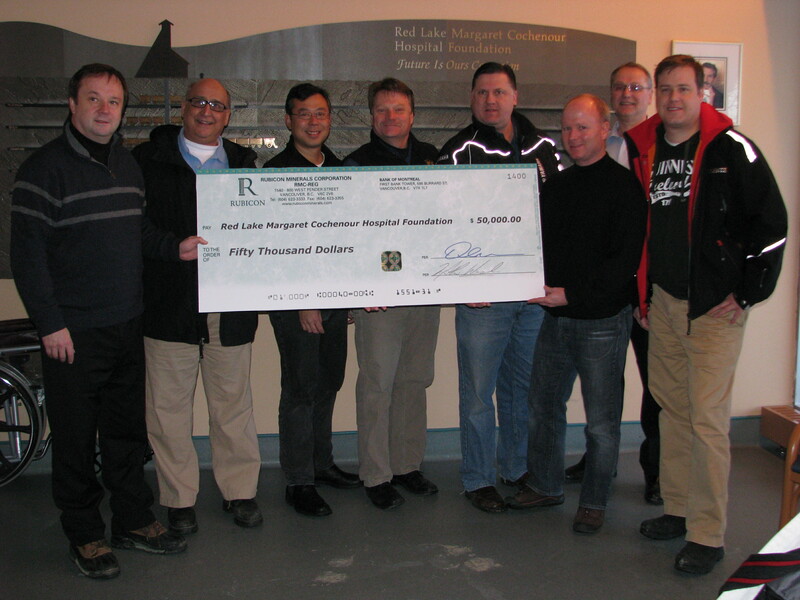 With this donation the Foundation has raised over one quarter of the funds needed for the purchase of new Ultrasound Equipment for the Hospital. 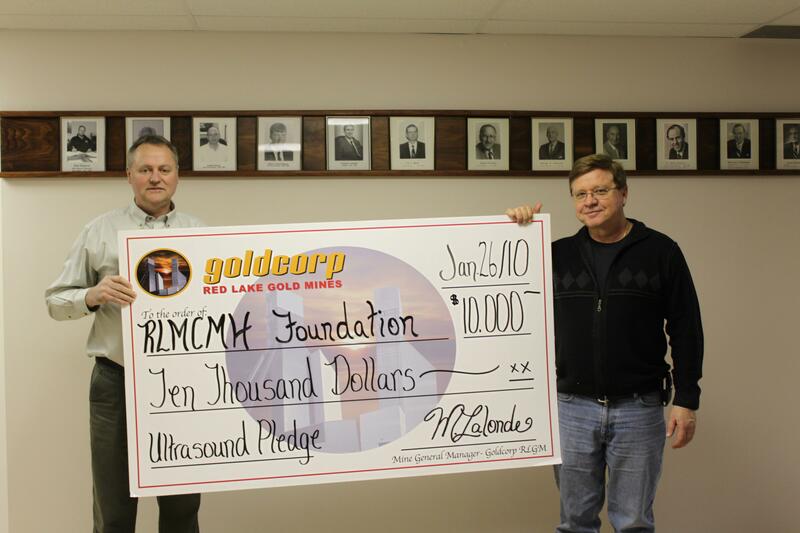 Our thanks to Goldcorp for their support in this campaign. You are currently browsing the R.L.M.C. Hospital Foundation blog archives for February, 2010.